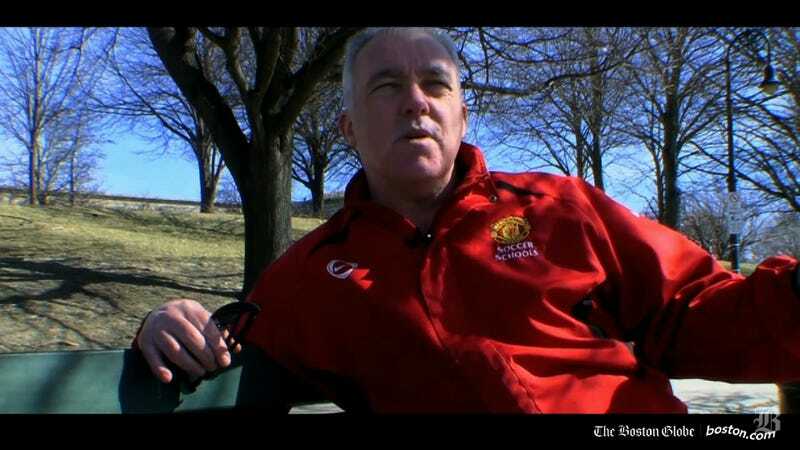 The Boston Globe has placed columnist Kevin Cullen on “administrative leave” while it conducts a review of his work, after WEEI radio host Kirk Minihane scrutinized Cullen’s April 14 column about the five-year anniversary of the Boston Marathon bombings, and found several inconsistencies. And so it was alternately poignant and horrifying to watch as first responders frantically pulled metal barriers and the flags of so many different countries down into Boylston Street in a desperate rush to get to the dead and the injured on the sidewalk. Those flags looked like victims, splayed on Boylston Street as the acrid smoke hung in the air. After the initial explosion, runners instinctively craned their necks toward the blast site. Then, 12 seconds later, a second explosion, further up Boylston. It was pandemonium. I saw an older runner wearing high rise pink socks, about to cross the finish line. 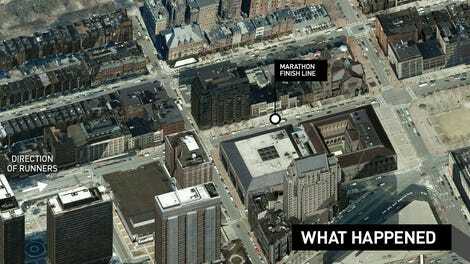 He was knocked to the ground by a photographer running up Boylston Street toward the second explosion. Again, Cullen reportedly told Minihane he was not there when the bombs went off, only hours after. I just got off the phone not long ago with a young firefighter who I’m very concerned about. He’s a young kid. He’s a veteran of Iraq and Afghanistan, and he told me what he saw today was worse than anything he saw in the war zone. He carried a young girl whose brother was killed at the scene. I actually know the father [Billy Richard], just ran the race today. And when he finished the race, his young son left the sidewalk. He went out into Boylston Street and hugged his dad. And then he went back onto the sidewalk and his dad walked on to register his time, and the bomb exploded. Bill Richard did not run the 2013 Boston Marathon, and even if he had, he wouldn’t have had to register after finishing. In the Boston Marathon, finishes are timed and recorded by chip tracking. The boy was killed. His mother was severely injured, and the daughter—the girl—my friend the firefighter Sean picked her up, and he carried her to an ambulance. And he said that when he put her down, he realized her leg was missing. And he went back to the scene and, he told me, crawled on his legs, his hands and his knees, trying to find her leg, and he couldn’t find it. Cullen told the BBC “Sean” was crawling on the ground in the midst of the chaos in an attempt to find Jane Richard’s leg, because he did not know whether she had lost it. Patterson said the first thing you realize when saving someone in that situation is if they lost an extremity, due to severe gushing of blood. The integrity of each of our journalists is fundamental to our organization. In light of questions that have publicly surfaced, Kevin Cullen has been placed on paid administrative leave while a thorough examination, involving a third party with expertise, is done of his work. We will be transparent with the results of the review.